Cirque du Soleil faces accusations of hypocrisy after canceling its upcoming shows in North Carolina to boycott the state’s new “transphobic” law, but not its upcoming shows in the United Arab Emirates, where homosexuality is punishable by death. Institutions in the southern US state are now allowed to openly discriminate against individuals based on sexual orientation and will require transgender people use bathrooms in relation to the gender stated on their birth certificate. The beloved circus is now being called “hypocritical” on social media and some right-wing media outlets for failing to extend its boycott to Dubai, where the show Varekai will perform this September. @yoopermomma@HouseCracka I will never attend another @Cirque show till they drop their Dubai Show!!! What a freaking double standard. 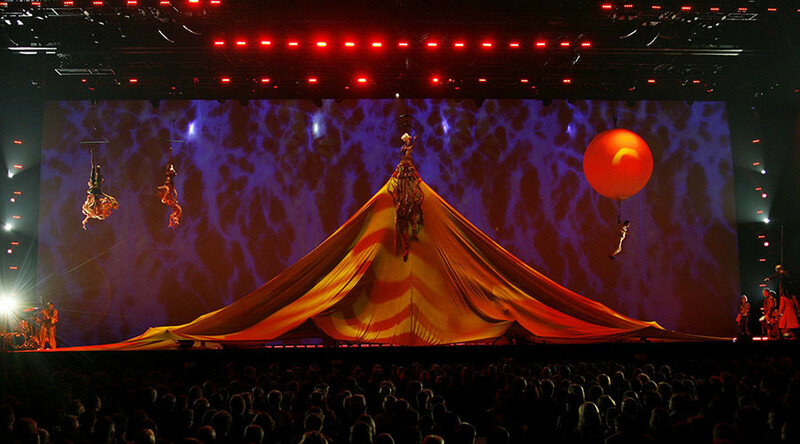 “Cirque du Soleil believes in equality for all. It is a principle that guides us with both our employees and our customers. We behave as change agents to reach our ultimate goal of making a better world with our actions and our productions.” the company said in a statement about the North Carolina decision. The Quebec-based troupe brought Michael Jackson: The Immortal Tour, Dralion, Alegria, and Quidam to UAE in previous years despite its LGBT laws and even considered a permanent residency. The government-controlled developer behind the palm-shaped islands project bought a 20 percent stake in Cirque in 2008, but last year, a private-equity group from Texas purchased a 90 percent stake along with Chinese and Canadian companies. Other brands like PayPal canceled a $3.6 million investment in North Carolina, which would have created hundreds of jobs for a new global operations center, even though it generates millions of dollars in profit from Dubai’s online payments since 2012. ...partied it up in Dubai with her wife Portia de Rossi last year. Ellen DeGeneres and Portia de Rossi take #Dubai. #Talk show host and #actress partied it up at a #city club during a brief visit. @TheEllenShow@ellentube how was your trip to Dubai? Looks like you were having fun despite the death penlty for being gay thing Hypocrite. Other NC boycotters like General Electric, Pepsi, and Choice Hotels have all remained silent on their presence in UAE. Mississippi native Harlan Vaughn, who visited the UAE with his boyfriend, didn’t experience any problems, but was still cautious during his stay. The website“Boycott UAE” calls for the Emirates to be held accountable for torturing, imprisoning, and violating the rights of expatriates living in the country. Most gay people living and working in the UAE are forced to keep their sexuality private due to a fear of losing their jobs and being deported. In an article for Gay Star News, one expat told the website, she was “nervous about other colleagues from conservative backgrounds finding out,” and hid her relationship.